today we are looking for handmade christmas gift tags, cards and wrap! a listing in the gift guide of our christmas issue, valued at $25! 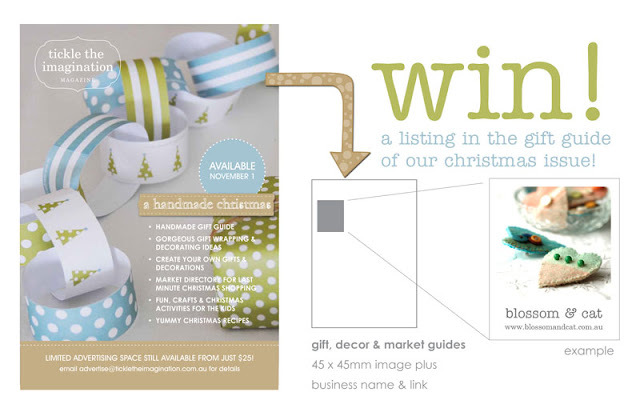 email an image of your gorgeous handmade christmas gift tags, cards & wraps to editor@tickletheimagination.com.au. Editors pick will win a listing in the gift guide of our christmas issue! entries close midnight tonight, 12th September 2011, Perth time.